Wataneya Society is a non-profit organization that aims to provide a safe environment for the orphans of Egypt. It was registered under the Ministry of Social Solidarity back in 2008 in order to address the challenges that Egypt’s institutions face regarding homes for children and the parenting care issues. 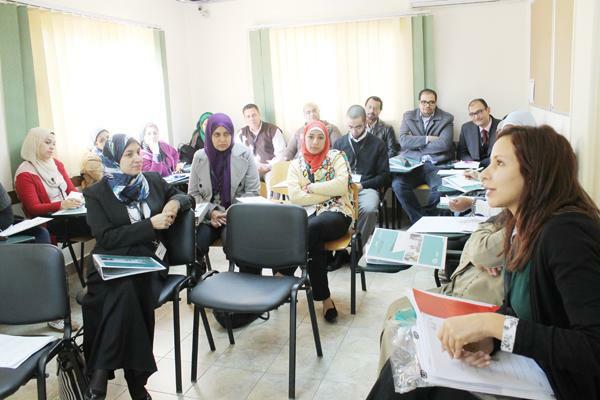 The organization is currently aiming to implement a unified and integrated mechanism driven from the international best practices for the development of Egypt’s orphanages. According to the Dubai International Award, Wataneya was recognized as one of the best six organizations worldwide in improving orphans’ living environments, and in 2014 it was selected by the MBC Hope program as the best project according to the Humanitarian Category in the Arab region. Moreover, as an attempt to achieve the organization’s target swiftly, Wataneya has collaborated with the Swiss NGO Drosos Foundation and launched their five year project on “Quality of Care for Children without Parental Care” aiming to improve the capacities of the institutional care homes by collaborating with the Egyptian Ministry of Social Solidarity in order to advance the quality of services provided to these children without parental care. The project has set its guidelines regarding its vision for the standards of the optimal care services that should be given to the orphaned youth. Because the ministry’s staff must be familiar with these standards in order to ensure that all of the institutional homes are following the new rules and regulations that are set by the Wataneya Society organization as well as Drosos Foundation. Those standards include the quality of caregivers hired in institutions before exposing these children to situations that might risk their safety and wellbeing. The importance of the role of caregivers highly impacts the child, if they are well trained it will ensure that the best care is being provided to these children. In order to achieve this Wataneya Society launched a number of training programs and sessions to help caregivers improve their services; how to protect the children, and to teach them to protect themselves, how to deal with pre-teenage phases and more. Over the past decade, Wataneya has trained over 2,000 caregivers and has implemented quality control standards in at least 120 orphanages in 13 different governorates across Egypt. WE SAID THIS: Children without families are the most vulnerable people, it is societies duty to take care of them.